I am sure everyone is just as ready for the weekend as I am. The hubby and I are heading out of town tonight to see family for a little belated holiday celebration and I’m truly looking forward to it even though I haven’t packed. If you do not know me, just know I work best under pressure which terrifies my hubby quite a bit, lol. My love for ruffles isn’t new so imagine my joy when I saw this statement sweatshirt full of tulle embellished ruffles, oh gosh! 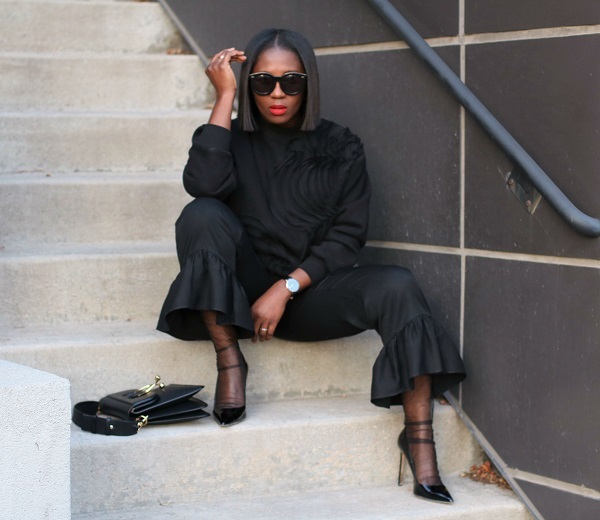 It was only right to style it over my favorite ruffle hem pants and fun tulle socks (get ready to see these on me quite a bit). 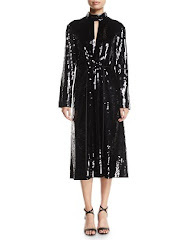 Since my look is yet again all black, I added a touch of color with my light tan overcoat.